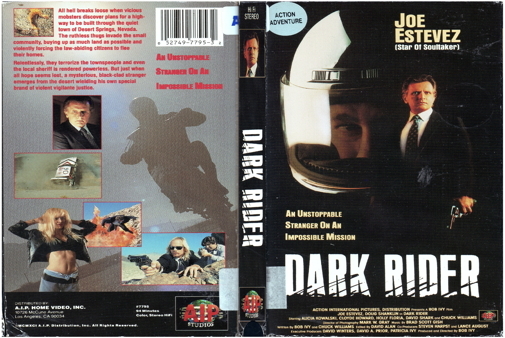 Dark Rider is a mysterious, motorcycle riding hero who comes to the rescue of a small town. Besieged by a gangster who buys up all their land, the townspeople must abandon their homes and indeed, their very dreams. That is until Dark Rider rolls into to town to enact his own unique brand of vengeance.